...... PSP, Zune, Blackberry, Zen, Smart Phone, PMP etc.). DVD X Player integrats all functions of a standard DVD player. DVD X Player can provide superior video and audio (Dolby & DTS) quality, together with other enhanced functions: e.g. record DVD, playback image and DV, image capture and bookmark, etc. 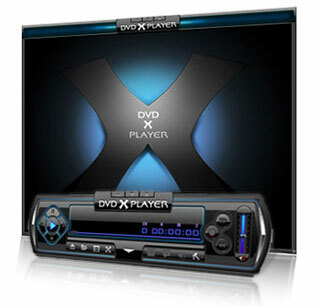 DVD X Player supports DIVX, MPEG4, RM, QuickTime, WMV, WMV-HD, MacroMedia Flash and popular media formats of Internet. DVD X Player can be extensively compatible with hardware, which is operated stable, smoothly under Windows 98\98SE\ Me \2000\ XP\Vista system. * Playing DVD/VCD/CD/DivX / XviD / MPEG-4 / QuickTime / Real/ MacroMedia Flash. * Region free / Code free / Zone free - RPC2/RCE Region Free/ Operation-free. * Record your favorite DVD movie into video or MP3 audio files( for Apple iPod Video, iPhone, Sony PSP, Zune, Blackberry, Zen, Smart Phone, PMP etc). Qweas is providing links to DVD X Player 5.3 as a courtesy, and makes no representations regarding DVD X Player or any other applications or any information related thereto. Any questions, complaints or claims regarding this application DVD X Player 5.3 must be directed to the appropriate software vendor. You may click the publisher link of DVD X Player on the top of this page to get more details about the vendor.